WordPress is an amazingly flexible CMS. It made humble beginnings as a blog engine but has since grown in a complete Content Management System. WordPress can be used to create social networking website, A Magazine Like Website, An Article Directory and even a Job site. Not many Jobsites are powered with WordPress but still it can be used to create a fairly advanced Job Site. It requires Wp version 2.9 and above. The market is flooded with Groupon Clone script. Though most of them make tall claims but the reality is that many of them are quite ordinary. Nothing is more annoying than discovering that the software you bought is full of bugs. It results in waste of time and money. Creating a successful internet business is hard enough and buying a buggy script will make things even harder. Before you decide to shell out the money keep these 5 points in mind and more often than not you will end up making the right decision. No matter how feature rich the software is, one has to customize it before launching. The design needs to be changed, a new feature needs to be added, new payment gateway needs to be supported. The script should be easy to understand and customize. That is why one should check who are the people behind the script.. are they experienced and professional? 2) Speed and Security: Groupon, living social, yipit are amazingly fast. Users will expect the same speed and stability while browsing your portal. It is criminal to keep the users waiting. Make sure that the script you buy is fast and zippy. 3) Underlying Technology It is always better to choose a script developed on a tried and tested platform. Talk to the developers and try to find out the underlying platform which powers their product. 4) Usability: A system is of no use if it is not intuitive. Is the Admin Panel easy to navigate? Is it easy to install ? Try to answer these questions before you make the purchase decision. 5) Support: How good is the support? Support is lifeline of any software product. Try to interact with lead developers , see if they are responsive. Bad support can increase the cost of customization and lead to failure. points in mind and more often than not you will end up making the right purchase decision. If you require users to register and provide a valid email address then this will significantly reduce comments. However, a lot of people do not like to register in order to post comments so if your goal is to increase the number of user comments then you may want to allow anonymous commenting. 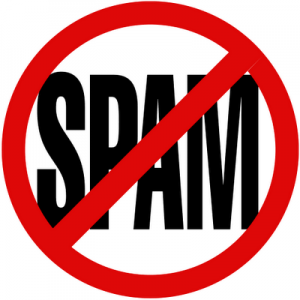 If you allow anonymous commenting then you must use a spam prevention module like Akismet. One of the primary reason for comment spam is link building. If you blog allow do-follow comments then you should be prepared to get targeted by spammy link building services. Spam commenst can negatively affect you search engine ranking.. so one should never use Do-Follow for comments. Watch out for IP addresses from where the comment spam is originated. Simply block those IP’s. Before blocking an IP make sure that you are not blocking any genuine user. This is the simple one that everyone does. Akismet comes bundled with WordPress by default and does a good job of picking up spam – for the average blogger, install Akismet and your spam problems will be sorted.